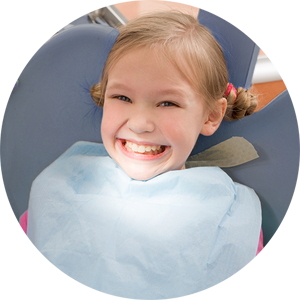 Our practice enjoys providing family dentistry and services to young children. We’ve designed our clinic to have a relaxing environment and have an oral health therapist— Jamelle Knight —on staff, who especially enjoys treating paediatric patients. 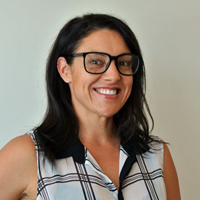 As a mother of three, Jamelle is comfortable working with the youngest of patients and helps them to have an enjoyable experience at our practice. Is your family eligible for coverage through the Child Dental Benefits Schedule? Children between the ages of 2-17 can receive up to $1000 in dental services, such as routine cleans, fissure sealants, fillings, exams and X-rays over a two-year period. Bringing your child to the dentist at an early age can do several things. Firstly, it gives your son or daughter the opportunity to experience the dental office in a positive environment, receiving a comfortable exam or clean instead of only visiting due to a painful emergency. Secondly, it minimises dental phobia. But thirdly and most importantly, it helps your child to reduce their risk of oral health complications later. By screening for issues such as tooth decay and dental infections early on, your child can potentially reduce their need for more complex, expensive treatment in the years to come. Most dental concerns are preventable or can be minimised through interceptive therapies and early screening. Contact us today to book your child or family’s next trip to our office! We’re a preferred provider for HCF, BUPA, Medibank private and CBHS, and accept all health funds.